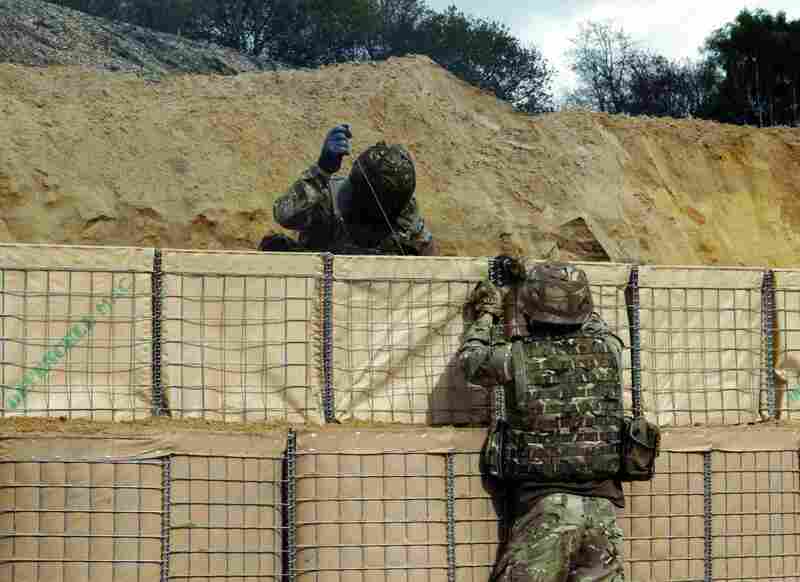 Using our expertise in gabion mesh, we have developed a high quality cellular containment structure, Defencell® MAC, to provide force protection against a range of ordnance, explosive and vehicle attack. 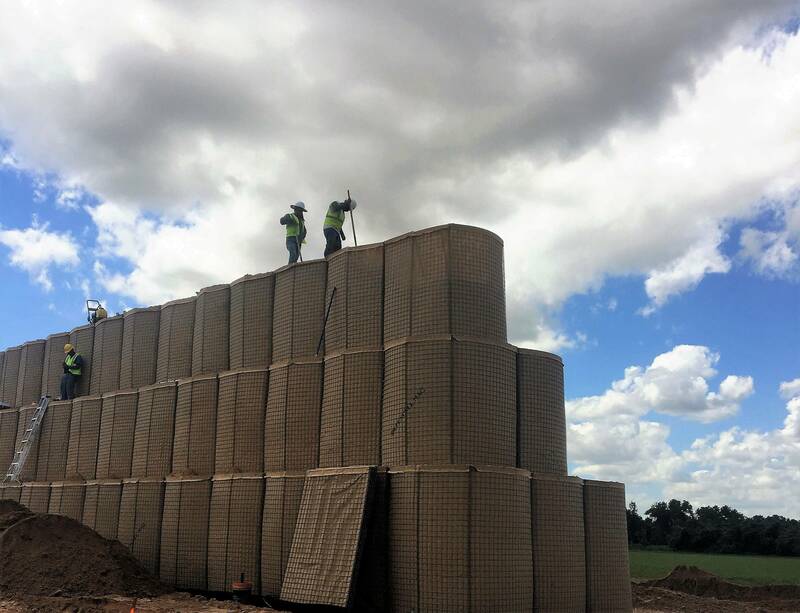 Defencell® MAC is based on our original wire mesh troop protection bastions, first used in WW1; now brought up to date to meet today’s demands. 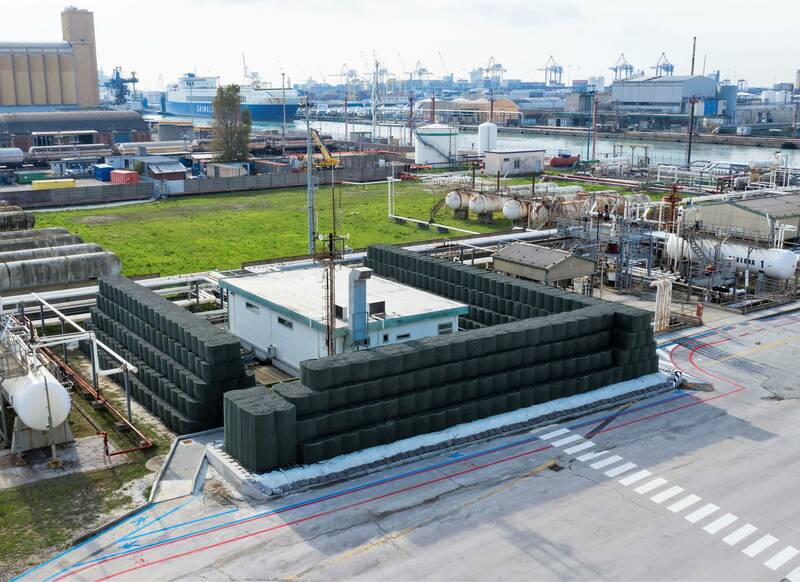 Available in a range of sizes, Defencell® MAC can be rapidly deployed and is filled on site with available fill material to provide a modular barrier. 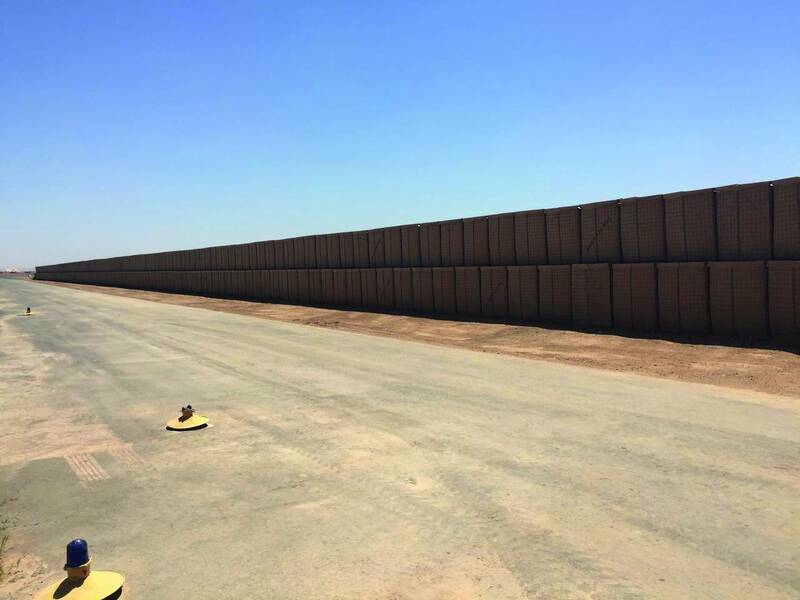 The units can be stacked to form taller structures as needed to protect bases, camps, depots, vehicles or other infrastructure. The units are also used in civilian settings to protect key buildings, airports, infrastructure or other installations at risk from attack. Defencell® MAC is a multicellular structure made of welded wire mesh. The mesh is lined with a non-woven geotextile sleeve which forms an internal lining for each cell. Each lining sleeve is overlapped and attached to the top edge of the unit, while the lower part of the fabric is left loose to be folded internally on site to form a soil retention seal. 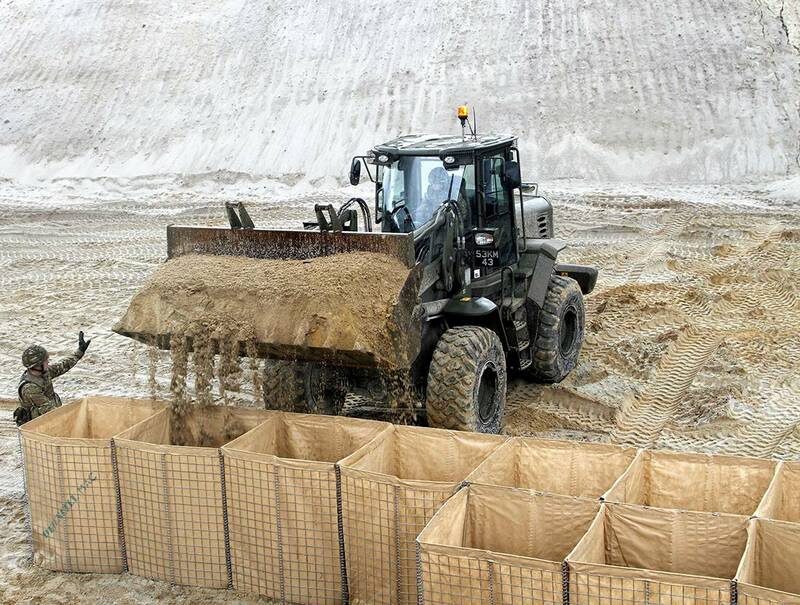 The geotextile is specially designed to provide extended UV resistance compared to normal non-woven geotextiles. Defencell® MAC units are joined longitudinally, by using connecting pins to obtain the required length of the structure. For more information, download Defencell® MAC Flyer.